Rotterdam has more flat rooftops than anywhere else in the Netherlands. This is partly a result of the reconstruction following the bombardment on the 14th of May 1940. Fourteen and a half million m2 of flat rooftops lie waste, 1 km2 of which are in the city centre. 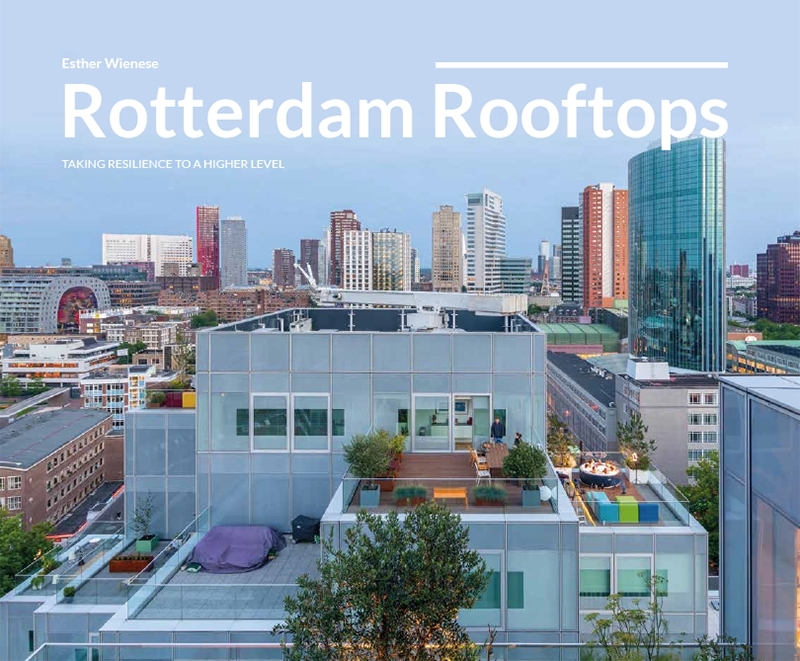 Rotterdam Rooftops is an informative and inspiring book about what is currently happening on the flat rooftops of Rotterdam and what the city hopes to achieve. Twenty visionaries discuss the rooftops’ role in the city of the future. Thirty-seven example rooftops illustrate how Rotterdam is already using its rooftops for rainwater collection (blue), nature (green), living, working and relaxing (red) and energy (yellow). The book also provides a glimpse of future rooftop developments. Rotterdam writer and guide Esther Wienese has been engrossed by the world of Rotterdam’s rooftops since 2016. 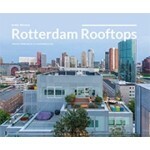 For Rotterdam Rooftops, she interviewed more than fifty roof experts and rooftop owners. The visionaries and rooftops have been beautifully photographed by Rotterdam photographers Chris Bonis, Ossip van Duivenbode and Marieke Odekerken. The result is an inspiring tour of Rotterdam’s roofscape, inviting us all to go up onto the rooftops and experience them for ourselves.